African-American, Latino, and Working-Class Residents to Pose Key Questions. Suffolk County, NY - April 16, 2014 - On Wednesday night, Suffolk County Executive Steve Bellone will join scores of residents to answer questions about the most pressing issues facing Suffolk’s diverse communities: jobs, housing, and diversity. The event will feature remarks from the County Executive, who will then respond to questions from a wide cross-section of local residents on issues including Long Island’s foreclosure crisis, the need to generate more stable, high-paying jobs, and efforts to embrace the growing immigrant population. WHAT: Community Forum with County Executive Steve Bellone on Jobs, Housing, and Diversity. WHEN: Wednesday, April 16th, 6:30 p.m.
WHO: The event will feature Suffolk County Executive Steve Bellone and be hosted by the Long Island Civic Engagement Table, Make the Road New York, NY Communities for Change, and the National Association for the Advancement of Colored People (Islip Branch). Co-sponsors include Long Island Wins, Long Island Progressive Coalition, National Association of Puerto Rican Hispanic Social Workers, The Health and Welfare Council of Long Island, Long Island Latino Teachers Association, The Muslim Center of Long Island, New York Civil Liberties Union, and Planned Parenthood Hudson Peconic. 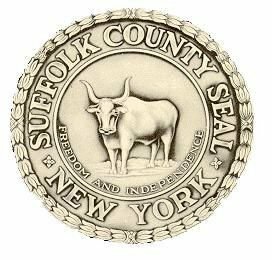 Subject: LongIsland.com - Your Name sent you Article details of "Suffolk County Executive Steve Bellone to Talk Jobs, Housing, and Diversity, at Forum with Community Organizations"